Packaging industry innovator Benson Group has announced the results of its latest Design Competition for students, which was staged in conjunction with the UK’s leading popcorn brand Butterkist. The winning design was submitted by Kyle Dawney, a Product Design Engineering student from Brunel University, who wins one week of work experience in the Benson Group Design Studio, a £250 cash prize, and a visit to Butterkist’s Pontefract head office, which will include a tour of the famous popcorn factory. Highly commended awards were also presented to Laura Whiteread from Bishop Burton College, Beverley, and Alex Heatley from the University of South Wales, who both win a day with the design team at Benson Bardon. Benson Group and Butterkist challenged ambitious packaging students with a brief to design a new, constructively striking sharing carton for the popcorn supplier’s microwave range. Students were required to create a new pack format to bring both excitement and intrigue to a family movie night in. The carton needed to increase shelf presence for the product and improve customer engagement, while still being instantly recognisable as part of the Butterkist family of products. Judging of entries was conducted by Benson Group’s Nikki Clark; Helena Blincow, Brand Manager at Butterkist; and Dean Parkin, Packaging Development Team Leader at Butterkist. See more details on the winning designs by clicking here. Benson Group is one of the UK’s leading privately owned printed folding carton suppliers, producing packaging products for both the food retail and healthcare industries, for a wide range of UK and European customers. The business manufactures packaging at four production sites covering in excess of 400,000 sq ft. Benson Group continues to grow and expects to achieve annual sales for the current financial year in excess of £120 million. Food product manufacturers are the main customers at Bardon and for the company’s two North East facilities in Newcastle and Gateshead. The fourth site in Crewe serves healthcare and consumer care markets. In recent years, investment in new plant and equipment across the four sites totals in excess of £22 million. The group employs in excess of 900 personnel across all four production sites. Benson Group creates packaging for many well-known companies, brands and retailers. Key account clients across the Group include Two Sisters Food Group, Reckitt Benkiser, Greencore and Samworth Brothers. The company is an approved supplier for all of the UK’s leading retail chains. Food and healthcare packaging is exported to customers in countries throughout Europe. M Partners, the Surrey-based business specialising in the distribution of product focused on the printing industry, has announced a second initiative for its stand-alone division concentrating on the growth market of wide format printers: M Partners Wide. This latest development sees the company sign a reseller agreement with Canon. 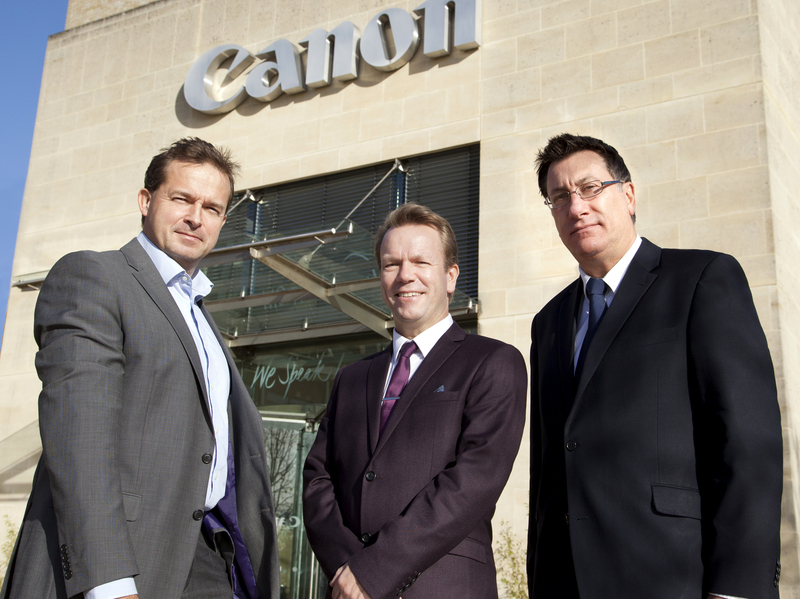 Commenting on this latest development Murray Lock, Joint Managing Director of M Partners Wide, said: “Canon products offer us interesting opportunities with printers who are seeking an effective proofing solution. The wide format solutions from Canon are aimed squarely at this sector and have been developed with printers in mind. We believe that they offer the quality of print that is an essential ingredient to a printed proof. The creation of the M Partners Wide division is the latest development from M Partners, as the company seeks to bring its unique distribution format to the wide format market. The company recently announced its distribution agreement with Korean manufacturer DGI. Benson Group, one of the UK’s leading privately owned printed folding carton manufacturers, has announced details of a final total for this year’s Children In Need fundraising at its North East factories. The collection of activities staged at the packaging production company, which included themed Fancy Dress Friday’s, were originally focused on a £1,000 target. After a great start, this was swiftly revised to £1,500, but the team’s great efforts ended up raising the grand total of £3,000. 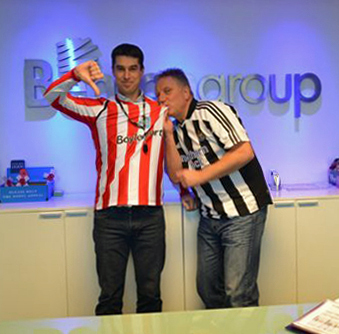 Other activities in the Benson Gateshead plan included two members of the management team who were willing to swap club colours on Children in Need day: Sunderland and Newcastle shirts being exchanged. An “I’m a Celebrity, Get Me Out of Here” banquet was also organised, with a menu of “not so pleasant” dishes arriving at the table of the management team. Benson Group is one of the UK’s leading privately owned printed folding carton suppliers, producing packaging product for both the food retail and healthcare industries for a wide range of UK and European customers. The business manufactures packaging product at four production sites covering in excess of 400,000 sq ft. Benson Group continues to grow and expects to achieve annual sales for the current financial year in excess of £120 million. Food and beverage processors are the main customers at Bardon and for the company’s two North East facilities in Newcastle and Gateshead. The fourth site in Crewe serves healthcare and consumer care markets. In recent years, investment in new plant and equipment across the four sites totals in excess of £22 million. The group employs over 900 UK based employees across all four production sites. Benson Group creates packaging for many well-known companies, brands and retailers. Key account clients across the Group include Two Sisters Food Group, Reckitt Benkiser, Greencore, and Samworth Brothers. The company is an approved supplier for all of the UK’s leading retail chains. Food and healthcare packaging is exported to customers in countries throughout Europe. For further information on the Benson Group visit the web site.